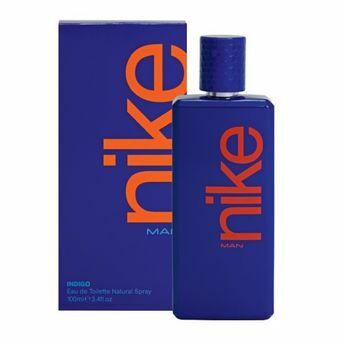 Nike Man Indigo Eau De Toilette Natural Spray in India. Tired of the old deodorant which emits nothing but gas? If yes then grab Man Indigo EDT, a fresh new fragrance from Nike. Stay away from sweat odour and stay clean. Keeps you dry and cool for long time. Strong scent lingers around for hours. Filled in an attractive blue coloured bottle, you can carry this perfume with you and keep yourself fragrant. Additional Information :Nike is a Spanish perfume brand founded in 1929. Designer Nike began his business with 31 perfumes. Nike Man Indigo EDT is a genuine clear fragrance, ideal for the guy next door.